CTEMPs provides field-deployable high-precision fiber optic temperature measurement systems, wireless self-organizing multi-parameter sensor stations, and Unmanned Aircraft Systems (UAS). User fees are very low, and experiment design, installation, and data analysis is supported by a staff of scientists. Instruments are available now, obtained rapidly through an online request form. All non-commercial projects for discovery and education are welcome. CTEMPs offers a series of courses to train researchers and students on the leading edge of distributed sensing and UAS. 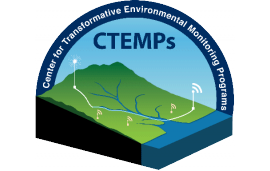 CTEMPs has developed a suite of policies on instrument accessibility and data sharing in concert with its Advisory Board and CUAHSI.